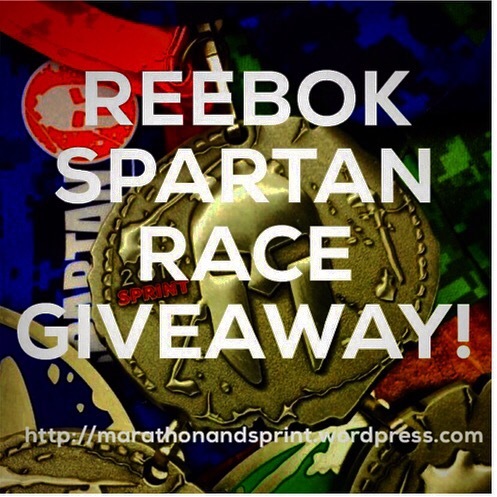 Reebok Spartan Race GIVEAWAY. Win a FREE Reebok Spartan Race! AROO! We’ve got a GIVEAWAY up in here!!! And right before the holidays! Keep it for yourself or re-gift it. We won’t tell! Nothing says “I love you, now drop and give me 50 burpees!” like giving the Gift of Spartan. If you haven’t done a Spartan Race– now’s your chance! Check out their website– there are races across the country! Both Tina and I have run several Spartan Races over the years, our personal favorite being the Fenway Spartan Sprint which was a complete BLAST. (Because Boston. 😊) Relive Our Top 5 Reasons Why You Need to Do a Spartan Race HERE. If you’re planning on conquering multiple Spartan Races in 2017 like the Sprint, Super and Beast, they’ve made it easier for you with their Spartan Passes. And p.s. aren’t you a badass? Our Spartan friends have lots in store for the 2017 Spartan Racing Season. Here what’s up! The Spartan Trifecta Pass- Entry to 3 Races! The Open Season Pass for UNLIMITED Racing! The Elite Season Pass for UNLIMITED Racing and Guaranteed entry to all events- regardless of Sold Out status! Banging new medals! Holy Bling! The Spartan Open Season Pass! The Spartan Elite Season Pass! And last, but not least, a preview of the new bling. It’s epic. And would look even more epic dangling off of your strong mud caked neck. It’s a new year. Time to get uncomfortable. ‘Cuz that’s where the magic happens. Enter our Reebok Spartan Race Rafflecopter Giveaway to win entry to any open race in the United States in 2017! It’s FREE! There is no purchase necessary. Just ENTER to win! Winner will be selected at random and notified via email! Hurry! GIVEAWAY ends at 12am on December 22nd, 2016! Get in there! Enter our Spartan Race Rafflecopter giveaway HERE! Skratch Labs. We’ve Got a Giveaway Up in Here! In celebration of Global Running Day, which also happens to dovetail sweatingly with The Hottest Half Marathon I Have Ever Survived, we here at It’s a Marathon AND a Sprint thought it appropriate to do a Skratch Labs Hydration Pack Give Away!!! 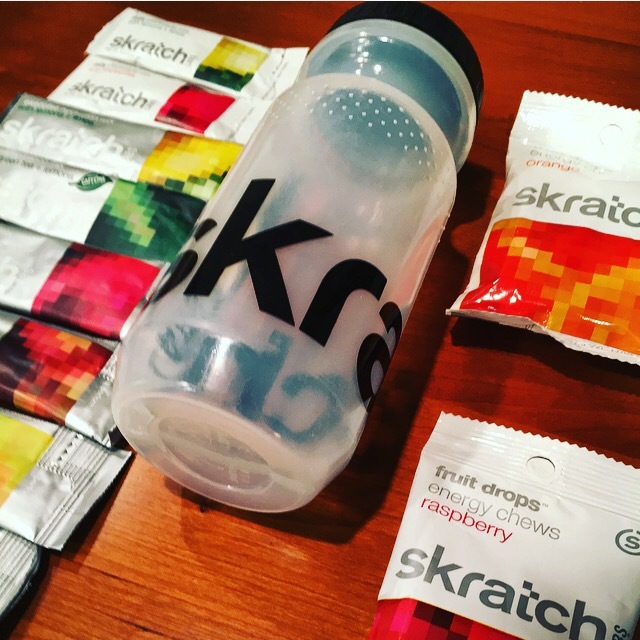 Skratch Labs has been my go-to for all things hydration for the past 6 years. Girlfriend is brand loyal. Because when you find good stuff, you stick with it. Skratch Labs Giveaway Hydration Pack! All this can be yours! Back in the day, I knew it as Secret Drink Mix. How badass was that? I felt like a hydrated spy on my whip. It was big among cyclists who wanted an alternative to what was on the market. It was known as a hydration mix that was easy on the belly and made from “skratch”- no coloring agents, artificial sweeteners, synthetic flavoring agents or excess chemicals. In short, real stuff. Good stuff. For that reason, I tried it. What followed was a borderline obsession with all things Skratch Labs. These hydration mixes, and since last year, their fruit chews, have fueled me through centuries, half-marathons, marathons, snow shoe races, an ultra marathon and all the way to a BQ. I found a unicorn whilst hydrating with Skratch Labs. #truestory. I chug the Exercise Hydration Mix before, during and after exercise. I’m partial to raspberry, but all of the flavors are delicious- pineapple especially. The matcha + lemons hydration mix is the only one that contains natural caffeine. Zing! They also make an apples and cinnamon hydration mix which is sipped hot. It’s a hug in a cup. Actually, it’s a hug in a non-GMO + gluten free + dairy free + vegan + kosher + delicious cup. And if you enter this give away? You’ll get a taste of all of them! With hydration requirements reaching a fever pitch, HELLO SUMMER!, we thought it was time to put together a Skratch Labs Hydration pack. We care about you. Stay hydrated, Poodles. So go on, enter away. Giveaway ends June 8th at 11:59pm! We’re linking up with the lovely Erica and Smitha to #WinAllThePrizes in their #Giveaway Roundup! Check them out. Tons o’ giveaways! Click on the Rafflecopter link below to enter! And good luck! Some rules. Otherwise, I’d just toss the stuff around like pixie dust. Or better yet, glitter. Giveaway ends June 8th at 11:59 PM EST. Open to Residents of the US only. Prizes cannot be shipped to PO Boxes. Winner will be selected by Random.org and be notified by email. The product provided for the review was free of charge from Skratch Labs. Colby is a Skratch Labs Taste Agent, however, her opinions, of which she has many, are her own and were not influenced by any form of compensation. We do not share or sell information and will use any information only for the purpose of contacting the winner.